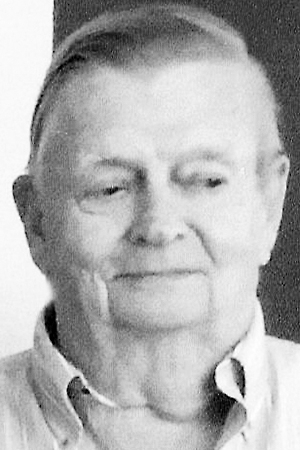 SEBAGO - Ernest G. Selberg Sr., 82, of Peabody Pond Road, died peacefully on Wednesday, Sept. 12, 2018, at his home following a courageous battle with cancer, his loving family was by his side. Ernie was born in Portland, Maine on July 15, 1936, the son of the late Ernest L. and Katherine E. (Grace) Selberg. He graduated from the Bessey School in Scarborough in the class of 1954. He served in the United States Navy Reserves from 1954-1962. On Oct. 3, 1959 he married the love of his life, Judith Anne Cole, in Sebago. Together they raised three wonderful children. This year Ernie and Judy would have celebrated 59 years of marriage. Ernie worked in the family business, Humpty Dumpty Potato Chip Company, driving a truck for 36 years, he then worked another eight years for the South Portland School Department, retiring in 1998. He was a life member of the Fraternal Order of Masons, Hiram Lodge 180 F&AM, South Portland. Ernie built the family camp on Peabody Pond in Sebago in 1964, and together, he and Judy created many wonderful memories together with family, and friends. Memories including family gatherings, building his many rock walls around the property or cutting down the wrong tree. His children commented that he was always busy puttering around the camp doing something. He loved woodworking and could fix anything, he was a jack-of-all-trades. Just several weeks before his passing he was doing some painting at the camp, making sure everything was done before he left. Ernie was always thinking of others and putting their needs ahead of his own. His greatest love was the time he spent surrounded by his family, especially his grandchildren and great grandchildren. Ernie is survived by his wife, Judith Selberg of Sebago; two daughters, Katherine and her husband, Jeffrey Daigle, of Sebago, and Karen and her husband, Scott Murphy, of Scarborough; a son, Ernest G. Jr. and his wife, Carla Selberg, of Brunswick; a sister, Ernestine "Bunny" Rice of Virginia; a brother, Peter and his wife, Athena "Chickie" Selberg, of Florida; nine grandchildren, James and wife, Kellie Daigle, of Massachusetts, Andrew and wife, Nora Daigle, of Massachusetts, Erik and wife, Stephanie Selberg, of N.H., Shaun Selberg and fiance', Ariel Posey, of Oregon, Ryan Selberg of Brunswick, Nicholas, Brendan, Jacob, and Maggie Murphy of Scarborough; four great-grandchildren, Charlie, Cole, Ellie, and Aiden Daigle all of Massachusetts; several nieces and nephews.